Press Statement: Mr President: Condemn Xenophobic Violence in Durban Kwa-Zulu Natal – It is Your Fault. Press Statement 28 March 2019. Mr President: Condemn Xenophobic Violence in Durban Kwa-Zulu Natal – It is Your Fault. On the 25thMarch 2019 the Department of Justice and Constitutional Development launched the National Action Plan (NAP) to Combat Racism, Racial Discrimination, Xenophobia and Related Intolerances. This comprehensive policy document provides measures to prevent, address and combat issues of racism and xenophobia. A few hours following the launch of this critical document asylum seekers, refugees and migrants living in Inanda Road, South Coast Road, Kenville area, Burnwood area and Greenwood area in Durban Kwa-Zulu Natal have fallen victim to xenophobia. There are approximately 250 migrants including women and children seeking safety at the Sydenham Police Station as results of xenophobic attacks by local communities At 3am on 26thMarch 2018 people began banging on the doors of migrant homes and taking their possessions and belongs. A number of migrants are injured, hospitalised, displaced and are being treated in hospitals. Most of the migrants have lived in this community for up to nine years and are currently destitute and in fear of their lives. Is this democracy Mr. President Cyril Ramaphosa? Mr. President, you may hate foreign nationals (your current statement says a lot) and your hatred does not provide the nation you lead with the right to assault, tortures and attack foreign national living South Africa. What do you mean when you say “Lets Grow South Africa Together” or is it another electioneering strategy at the expense of foreign nationals to win votes from poor and vulnerable South Africans, Mr. President? With the NAP now a living document to combat such brutal and inhuman attacks, The Consortium for Refugees and Migrants in South Africa is calling upon the President. Cyril Ramaphosa and Deputy Minister of Justice, John Jeffery’s, to step up and harshly condemn these inhuman attacks. We demand the South African Police Services to maintain the peace and bring to books those involved in this brutality and hatred. CoRMSA requests all the local and traditional leaders including the president to spread and send a strong warning message amongst their own as well as South African communities to refrain from such life threatening violence. More importantly, CoRMSA calls on leaders to use the timely National Action Plan to take immediate action in putting in place prevention and combatting measures to ensure this document is enacted and is not a document that is good on paper. With elections approaching xenophobic statements such of the president and premier of Gauteng province have been on the rise as parties attempt to persuade voters on their current and future successes. Refugees, Asylum Seekers and Migrants have been scapegoated for failing service delivery and systematic issues of corruption, poor planning and mismanagement of public funds intended to benefit the voters. 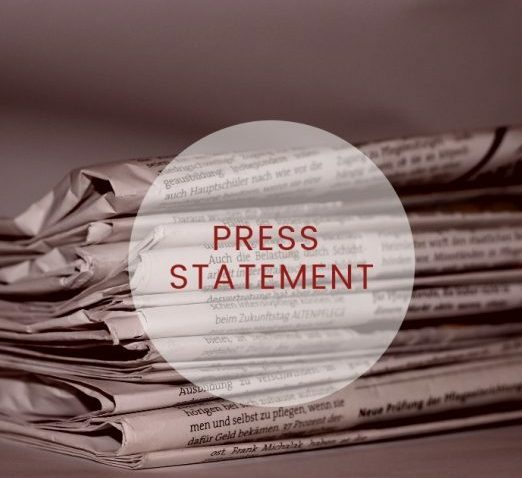 CoRMSA calls for all political party leaders to use accurate and fact based information in their electioneering, rather then pinning blame to a minority of already vulnerable people seeking refuge and protection in South Africa. CoRMSA reminds political leaders that their statements echo into communities and often fuel further xenophobic incidences like what is happening in Durban now. CoRMSA demands that political leaders refrain from using inflammatory and petty politics to gain votes.